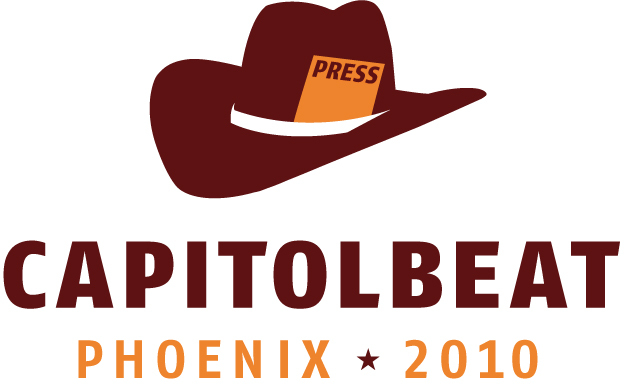 CAPITOLBEAT 2010 Conference Registration is open! Click here to download our schedule, up to date as of Nov. 1. Most speakers are confirmed but please know that some sessions may move during the conference. To sign up, you have two options. You can click here to fill out an online registration form that will be e-mail to our conference organizers. Or, click here do download a printable form to send in via U.S. Mail. To pay for the conference, you have two payment options as well. Click here to access our ACTEVA account, where you can pay via credit card. Or send a check with your printable registration form. Click on this link which will take you directly to the Wyndham’s booking page. A conference code will be pre-entered. If you have questions, please e-mail the board at board@capitolbeat.org.